My wife and I love to watch old TV shows. We find the 70’s and 80’s, while they delivered horrible fashion and car design, at least gave us great sitcoms! 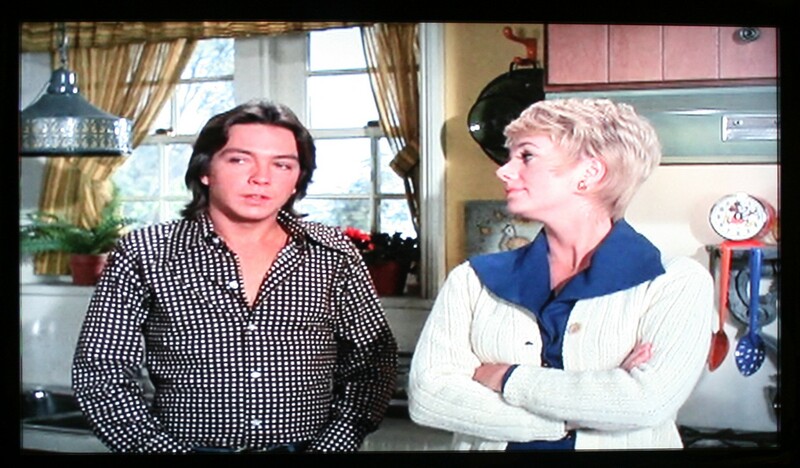 Recently I was able to pick up the complete series of The Partridge Family on DVD for only $30 at Wal-Mart and we are making our way through the first season. Time’s a wastin’, found him yet? Not very clear, but a definite confirmation of a Mickey sighting! Please check back from time to time as I will be sharing other Disney celebrity sightings from The Partridge Family as well as The Twilight Zone, The Andy Griffith Show, and others. 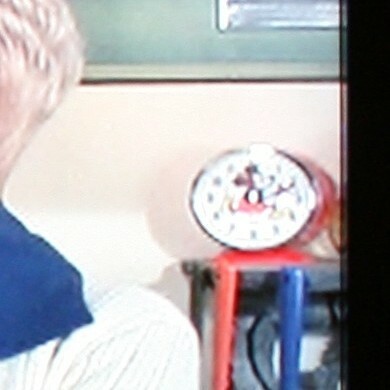 Say, have you ever spotted a Disney Celeb hiding out in your favorite sitcom? If so, let us know in the comments below! Love this! Now I am going to have to look in the backgrounds more often. Thanks, Mary! Lee has quite the eye for picking out that sort of stuff!